It's party time! Get 15% off all party cakes, cupcakes and balloons. It's party time! Bespoke birthday cakes available with next day delivery. Celebrate a special birthday with a personalised cake and cupcake, we have a great range of designs! Plus cupcakes and balloons. We are offering 15% off using code PARTY15 at the checkout for all our customers. The offer is live from Sunday 23rd September and expires Sunday 30th September. Contact: Macy Edwards at marketing@bakerdays.com for more information on working with us. End Of Month Offer! Get FREE Next Day Delivery. Get FREE Standard Next Day Delivery! When you spend over £33.98. Here is £5.99 off your order. Offer ends Thursday at 12pm. Use code FREEDELIVERY at the checkout. The offer is live from Tuesday 28th August and expires Thursday 30th August at 12pm. Exclusive Bank Holiday Offer! Get up to 20% off everything! Get up to 20% off your order! Offer ends Monday at midnight. Use code the right code at the checkout. The offer is live from Saturday 25th August and expires Monday 27th August at midnight. Get 20% off back to school cakes, cupcakes & balloons! It can be daunting starting a new school, a new class or even just returning after the summer holidays. Make someone feel excited about going back to school by giving them one of our personalised back to school cakes or cupcakes! We are offering 20% off using code BACKTOSCHOOL20 at the checkout for all our customers. The offer is live from Sunday 19th August and expires Sunday 26th August. 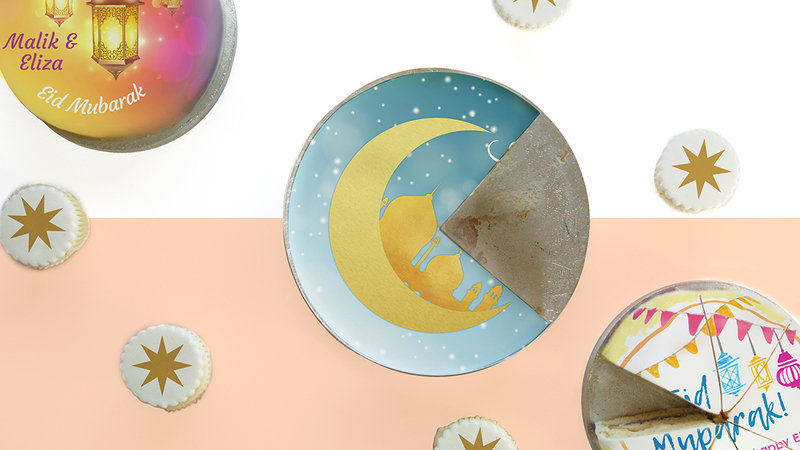 Get 20% off Eid al-Adha themed cakes and cupcakes for your end of festival party! Eid al-Adha is around the corner, we have a great selection of cakes and cupcakes to mark the end of the festival of sacrifice. No matter whether you are having a small party or a large party we can design your cakes to match! We are offering 20% off using code EIDPARTY20 at the checkout for all our customers. The offer is live from Sunday 12th August and expires Sunday 19th August. 15% Off Exam Results Gifts - Good Luck Gifts! Letterbox Gifts! Congratulations Gifts! Exam results are coming up over the next two weeks!?! Celebrate your star student with a delicious gift. We have lots of funny, meaningful and personalisable cake design options available. We are offering 15% off using code GOODLUCK15 at the checkout for all our customers. The offer is live from Sunday 5th August and expires Sunday 19th August. Get 15% off for International Friendship Day! 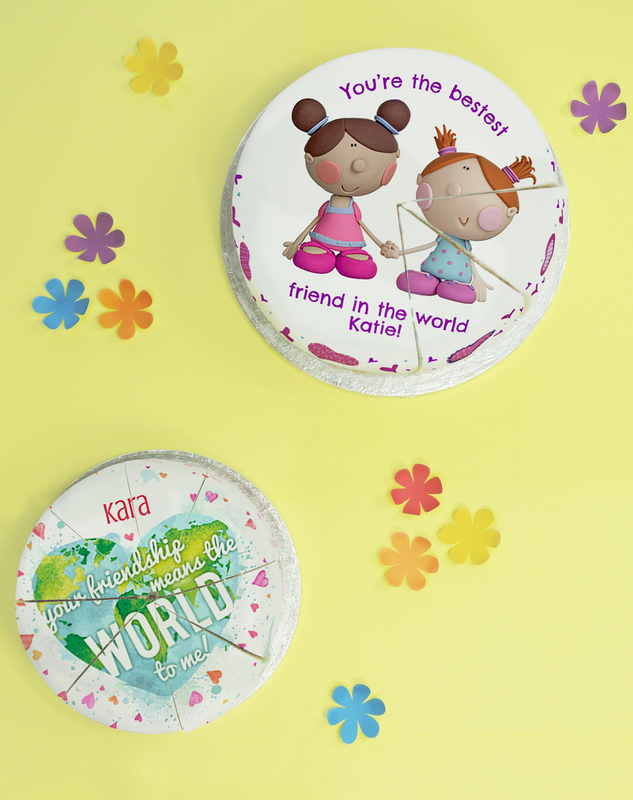 Share a personalised cake with your bestie! Use FRIEND15 at the checkout for 15% off, ends Sunday 29th July. Contact Macy at marketing@bakerdays.com to discuss partnership opportunities. Limited Time Only - Get 20% off our cakes, cupcakes and balloons this Father's Day! Give your dad an extra special present this year, why not send him a delicious cake!? We are offering 20% off using code FATHERSDAY20 at the checkout for all our customers. 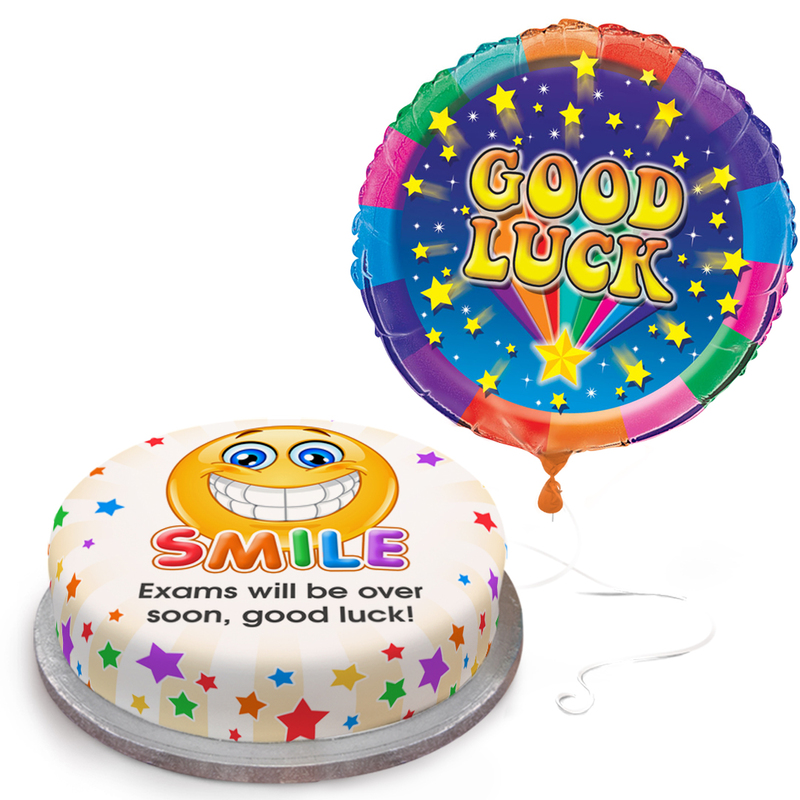 Give your nervous students a "Good luck in your exams cake!" and get 15% off your order. Do you know a nervous student who is revising hard for their exams this month? Then why not treat them to a delicious "Good Luck" cake to put a smile on their face! Celebrate the Royal Wedding in style with 15% off our personalised cakes, cupcakes and balloons. We are offering 15% off using code ROYALWEDDING15 at the checkout for all our customers. Know someone who is planning a Royal party or regal event to celebrate? Then why not treat them to a personalised gift. May the force be with you! Bakerdays are offering 15% off next week for Star Wars Day. May the fourth has come around fast! We are offering 15% off using code FORCE15 at the checkout for all our customers. 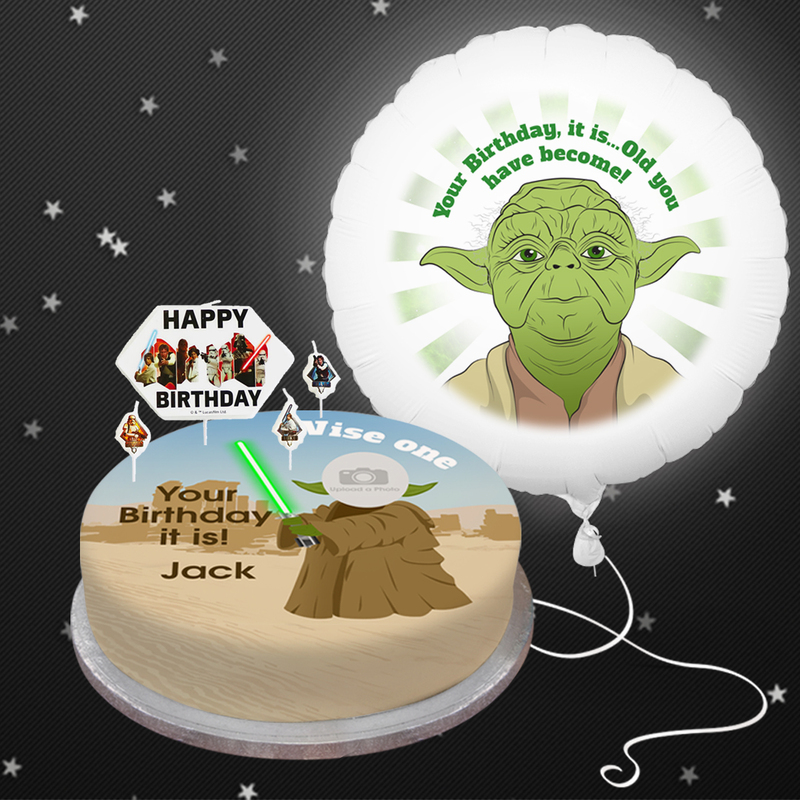 Know someone who considers Star Wars Day as their second birthday? Then don't miss the opportunity to spoil them. For next week only! Get 20% off all bakerdays cakes, cupcakes and balloons. We are launching a limited time offer from the 22nd at 7.30am until the 28th at 11.59pm. This sitewide offer is for 20% off all our cakes, cupcakes and balloons to celebrate the end of the month. Use BAKERDAYS20 at the checkout to get 20% off, perfect for pre-ordering all your friends and families birthday, anniversary, father's day or thank the teacher gifts. bakerdays has launched on AWIN - who doesn't love cake? We are a Nottingham based bakery who specialise in the letterbox cake, yes that is a cake which you can send like a greeting card! Only its more delicious. All our cakes and cupcakes are baked onsite so you know with us you will receive quality. Bakerdays is the place to go for all your gifting needs, choose from any of our personalised cake and cupcake designs and if you can't find the right design we can create one for you. We also have a selection of personalisable helium balloons - there is no better surprise than opening a box and a balloon floats out. We love customers sharing their #bakerdaysmoment. We are offering the code SPRING10 until the 31st May, this site-wide discount offers 10% off all our products. We have exclusive promotions and discounts available for all our affiliates. Mobile optimised site so affiliate sales will track through mobile. Please see the Banners and Links section for Mobile Creative. We are an online-only retailer who is rapidly growing. Free delivery if cakes are ordered 3 days in advance. Our competitive standard commission rate is 6% per sale and a £2 assist payment.